"We have made sure that banks have the capital, the liquidity that they need and we have the contingency plans in place, " he told the BBC's Today programme. The pound declined on the currency markets in the wake of Mr Carney's comments, falling below the $1.30 mark, before recovering some ground. Former work and pensions secretary Iain Duncan Smith, who backs Brexit, said: "There is no such thing as a no-deal, as the [World Trade Organization] is where the EU and the UK are already and as a rule-based organisation, both sides would have to abide by those rules. He said the Treasury and the Bank of England had "struggled to understand how this would work," adding: "No deal is the language of Project Fear." 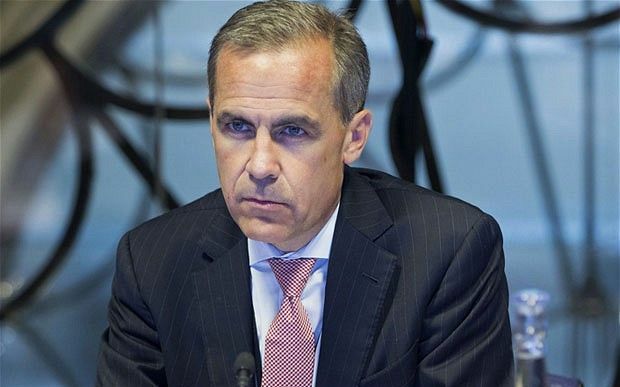 Mr Carney was speaking a day after the Bank of England's Monetary Policy Committee voted unanimously to raise interest rates from 0.5% to 0.75% - their highest level since March 2009. He said financial market expectations for rates hitting 1.5% over the next three years were "not a bad rule of thumb, given the current state of the economy". The decision to raise rates has been criticised in some quarters, with the British Chambers of Commerce describing it as "ill-judged against a backdrop of a sluggish economy". I'll keep the money for you, leave it with me. All will be fine.